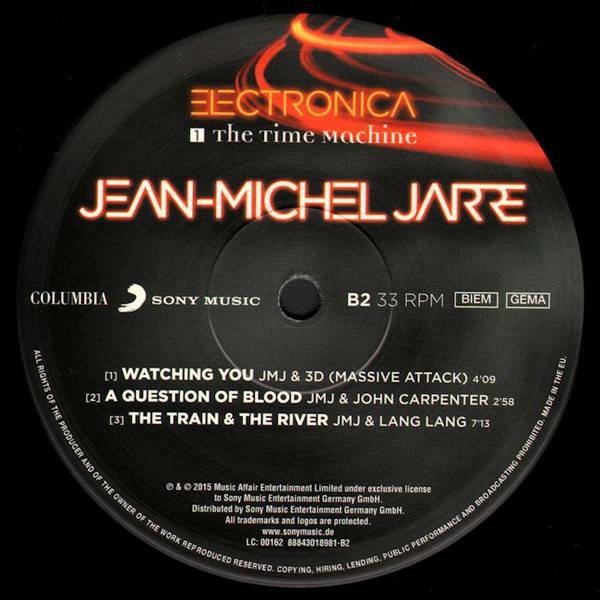 2015 EU issued on vinyl 2LP -In the late 1970s, Jean-Michel Jarre’s albums Oxygène and Équinoxe sold in their zillions, demonstrating that electronic music could be embraced by mainstream tastes. 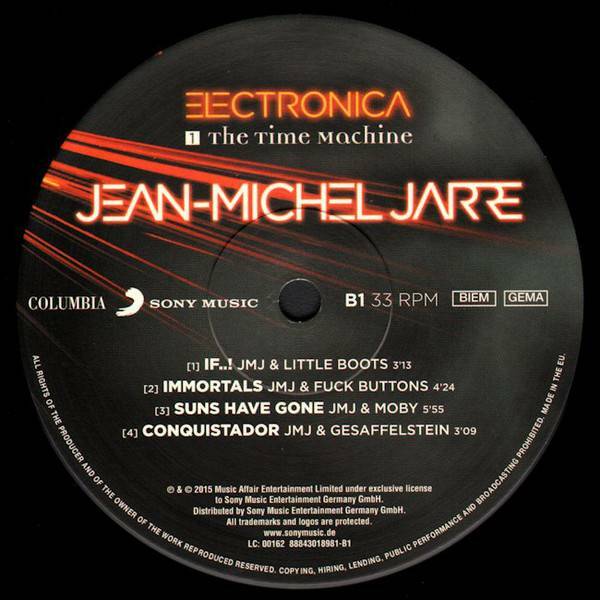 Almost 40 years later, the list of Jarre’s collaborators on Electronica 1: The Time Machine reads like a who’s who of electronic music, including Massive Attack, Moby, Air, Vince Clarke, Laurie Anderson and John Carpenter. True, by assembling such a stellar lineup, Jarre is reminding us of his status as a pioneer. But this does not feel like a cynical exercise – perhaps because Jarre was shrewd enough to work in person with his collaborators rather than remotely by sharing digital files. 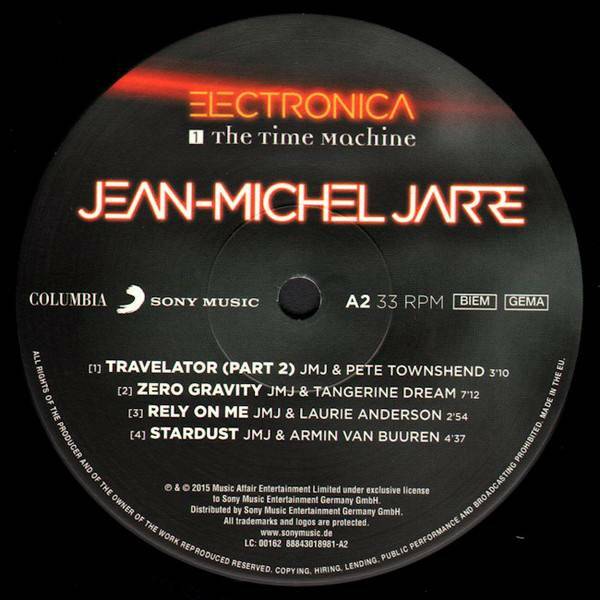 Jarre’s soaring washes of chords are present on tracks such as Conquistador (with French techno artist Gesaffelstein) and Zero Gravity (one of the last recordings of the late Edgar Froese of Tangerine Dream). 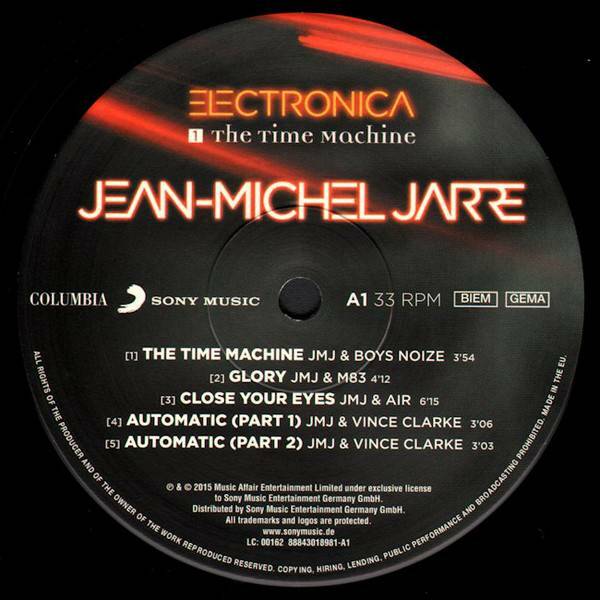 But, by and large, the new age retro-futurism that characterised Jarre’s earlier work is replaced by a focus on accessible modern pop.